In this episode, I take a brutally honest look at how clear you are about what you REALLY want (versus what you think you want). Find out for yourself as our journey continues! When I read “Busting Loose from the Money Game”, something opened up in me and I experienced deep inner joy. It did not last very long but I recognized this moment as a moment of eternity. This is where I want to be. The problem is that I also know that “I” can’t make it happen through will power. If “I” could make things happen through will power then everyone else could too and we would all be living happy and in peace! In truth, this is not what is happening on Earth at this moment. I don’t know what the solution is. I could continue to run after all the people out there who say they know how to reach that space of inner peace and joy but I just don’t trust it. 2. 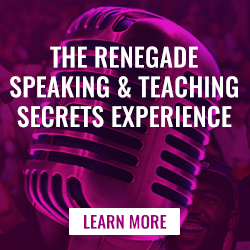 The repetitive use of the Phase 2 Tools leads to this experience (or can, depending on one’s mission and purpose – it did for me and 1000s of others worldwide). To my bias, that is “the solution.” Another option, of course, is The Ultimate Freedom Experience I offer (live or online). Your distrust is understandable and is cloud-cover based. It can be drilled through! Thanks for publishing this video series. 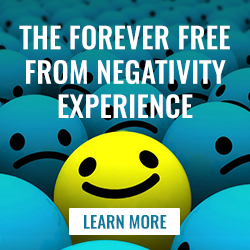 As I listened to this last one, after reading much of your material over the past few years, I realized that my life is essentially more satisfying and peaceful and abundant than I ever dreamed possible. This is after decades of simplifying and learning to focus within. The last remaining piece, which seems a big one, has to do with my longing to connect with “who’s driving the bus”. Not in the sense of religion…..but in the sense of experience and knowing. Maybe I’m missing something, but in your publications thus far, I think you have said that this may not be known at this level of existence. So, yes, I can enjoy my simple life amidst the beauty of friends and pets and gardening and travel and moment-to-moment awareness of my gratitude for it all. Yet….I do long for that connection. I think I speak for most when I write that, at the end of each life, what is most important is that connection….that knowing. To my bias, The Truth is not that you “connect” with who’s driving the bus, but that you can actually Experience BEING who’s driving the bus as it relates to your story. 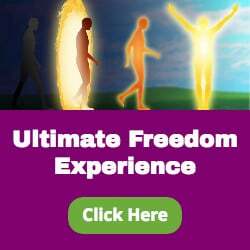 This is one one of the many “benefits” that come naturally with The Ultimate Freedom Experience, and comes in a surprising and unique way. Excellent video! Somehow I get the feeling with all the years of your teachings, the points that you been trying to make to so many, is coming to fruition. So many have been held to believe that money solves everything but as most of us know, it is not all about monetary goals but the life one wishes to create! I found a long time ago that chasing money does not ever bring happiness. But the trick is really how to figure out what I really want? Thank you, Robert. I enjoy getting your Brutally Honest Videos, as they remind me of the new journey I am now on, enjoying it more and more. Your stories, metaphors and ways of explaining the Truth truly float my boat and put things into perspective. Super cool and totally awesome!